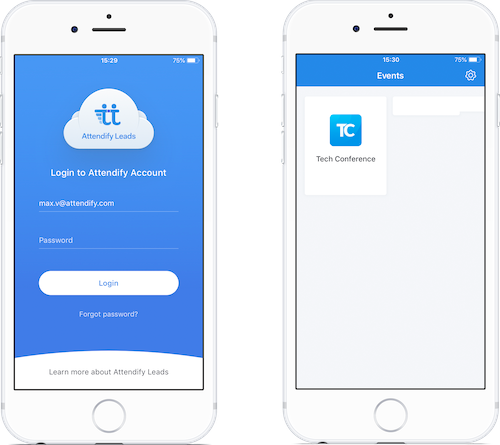 Learn how to use the Lead Retrieval by Attendify app by following these simple instructions and start capturing leads at the event. The minimum requirement is iOS 9.0 and Android 4.1. The app is also compatible with tablets. On the next step, you'll be asked to pay for Leads app. Just fill out your Credit Card info and hit "Pay". If the organizer of the event gives out licenses for free, or you have already paid, you will not see this popup. 2. Install the Lead Retrieval by Attendify on your device. Export Leads and set up Integration to automatically push leads scanned by your team to your Salesforce account.